Focusing as close as 2 inches / 5cm enables capture of tags, data plates, and fine details. The perfect visualization tool for use in hazardous classified locations in all sectors of industry including chemical and pharmaceutical plants, oil & gas drilling rigs and production platforms, tankers, barges, refineries, and mining installations. Factory Mutual approved, plus ATEX and IECEx certification for worldwide application. Made of rugged injection molded anti-static plastic, the iCAM502 intrinsically safe digital camera is IP65 rated for use in the most arduous environments, yet weighs only 7 ounces / 200g. The slim stick shaped design permits single-handed operation and convenient pocket carry. The included silicon rubber sleeve provides extra grip—especially when wearing gloves. 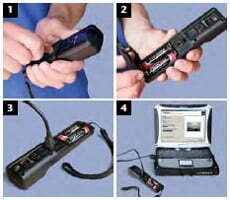 Certified for use with leading brand AA alkaline batteries. Image stabilization and high performance lenses provide high quality images with exceptional depth of field. 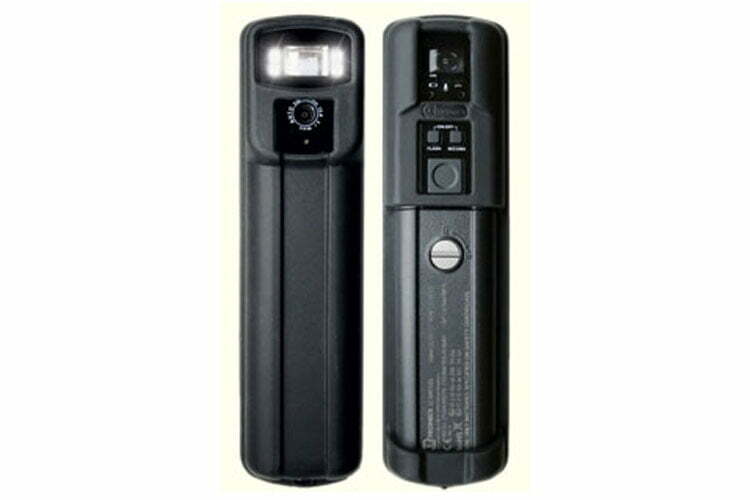 Super bright LED flash with automatic variable intensity provides illumination under the worst conditions. 3.1 megapixel resolution and 1GB NAND flash memory allow up to 5,000 jpeg images to be stored. Easy PTP download via USB port. Images are time & date stamped. User upgradable firmware. Recorded voice annotations in .wav format and saved with the corresponding image filenames for easy retrieval and matching. Operating Ambient Temperature Range USA & Canada: +4 to +140°F / –20°C to +55°C max. depending upon battery. See user manual for usage table. Memory On-board 1GB NAND flash; holds approx. 5,000 jpeg images without audio recording, additional 960 Kbytes per minute for audio. Time & Date Time and date stamping of stored images and file names. Time and date set via Picture Transfer Protocol (PTP) automatically. Connectivity USB 1.1 via mini-USB socket. CAUTION: for use in un-classified locations only. OS Support PTP imaging device in Windows 2000, XP, Vista, 7 and 8, and most versions of Linux. USB firmware upgrade utility available for Windows 2000, XP, Vista, 7 and 8 only. Environmental Protection IP65; injection molded anti-static plastic housing. Power Source 2x Duracell Plus / Procell MN1500, Duracell Procell PC1500, Energizer E91, or Panasonic LR6XWA alkaline AA batteries depending upon applicable regional certification and maximum ambient temperature. No substitutions permitted. See certification and user manuals for applicable choices. May only be changed in unclassified area. Battery Life iCAM501U: Up to 800 shots without flash, or up to 150 shots with flash, all made in quick succession. 310 shots as per the CIPA DC-002 standard (mixed mode shots with and without flash). iCAM502: Up to 600 shots without flash, or up to 100 shots with flash, all made in quick succession. 170 shots as per the CIPA DC-002 standard (mixed mode shots with and without flash). Perfomance is influenced by many factors including ambient temperature, length of time camera is powered up, number of voice recordings, and frequency and length of time camera is connected to PC for data download. FCC Class A device, compliance through verification route. In the Box iCAM501U / iCAM502 digital camera, lanyard/wrist strap, removable silicon rubber sleeve, 2x AA alkaline batteries. Setting the time in Windows 7 – Special Instructions – PLEASE READ! iCAM501 Time Setting Tool – READ INSTRUCTIONS BEFORE DOWNLOAD! Rugged, powerful and with ground-breaking affordability, CorDEX DIGITHERM sets the standard with compact digital imaging cameras. 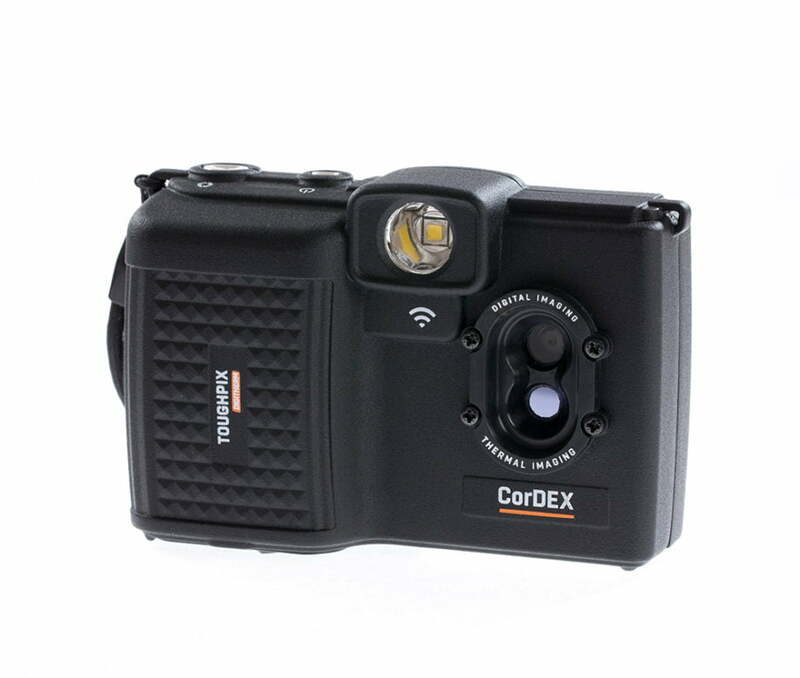 With must-have features including; 5 megapixel visual camera, LED flash, realtime visual/thermal image blending, wireless connectivity, CorDEX DIGITHERM brings a new dimension to the task of finding, documenting and sharing problems.. Tested to extremes every single component in TOUGHPIX DIGITHERM has been selected with one goal in mind, quality that’s built to last. From being frozen to -4°F and dropped from a meter, to being blasted with water and dirt as part of industry leading Ingress Protection testing. TOUGHPIX DIGITHERM has been pushed to extremes. The Performance is approved for use in Class I hazardous locations even where group A & B gases may be present. These include hydrogen and acetylene, and means that it may be used in all Class I, Division 1 & 2 locations without having to consider which gas hazard is present. 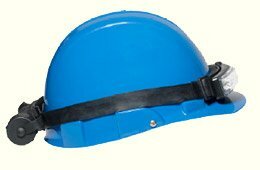 Designed for use with or without a safety helmet the Performance has an attached battery pack* containing four AA batteries, yet the weight is only a fraction over 10 ounces. The low profile LED light bar may be tilted downwards by 45 degrees, and power is turned on & off by a simple tap switch. 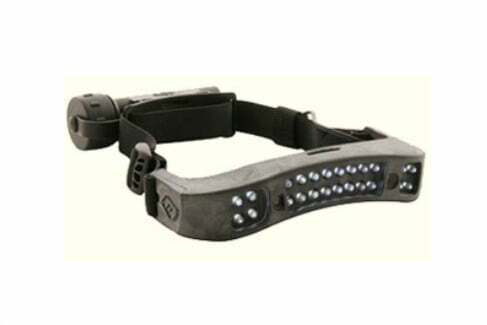 It works best for activities within a 20 foot range, but can illuminate up to 150 feet away. *Note that operation in hazardous locations requires that the battery pack may not be opened. 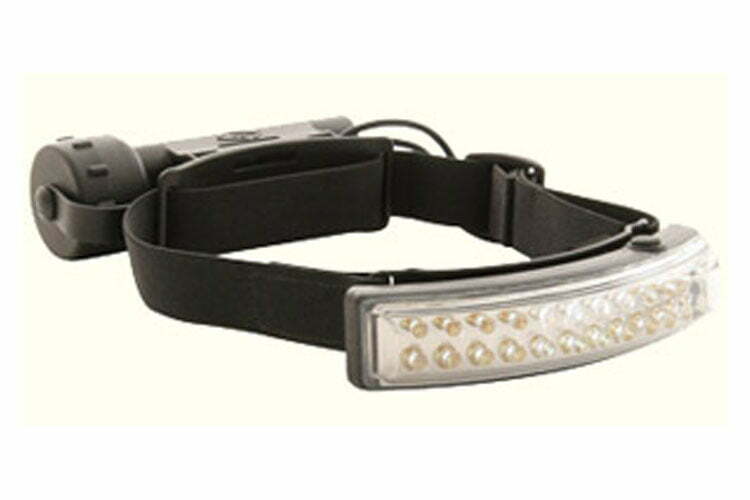 Batteries may only be changed when the headlamp has been returned to a non-hazardous location. Similar in concept, the Signature headlamp has a fixed bumper style housing to protect the LEDs, and the wide body design includes additional peripheral lighting. It is approved for use in Division 1 classified locations involving Group C&D gases, and Division 2 areas involving gas groups A,B,C,D. dependent upon battery quality and ambient temperature. The iCAM100 is designed for use in hazardous areas where surveillance is required in tight spaces. The camera is a perfect choice for use in a CCTV network, or simply as a single point monitor of a process operation. 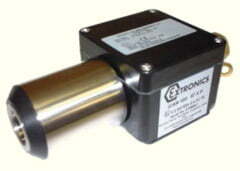 ATEX certified for Zones 1, 21, & 2, 22, and has IP65 ingress protection against harsh environments. 316L stainless steel and GRP construction. The iCAM100 uses a high specification color CCD sensor operating down to 0.5 Lux and producing 380 line output in PAL format. Connection to a video monitor such as the iVID100 monitor below or CCTV system is made using either 75Ω coax or 150Ω differential signal cable outputs. 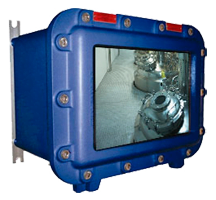 The iVID101 consists of a 12.1 TFT LCD display mounted in an ATEX explosion proof enclosure behind a glass viewing window. It can be connected to various types of video input signals including the iCAM100 and similar CCTV cameras. 24 VDC output is available to power the camera. Options are available on request including external push buttons for pan, tilt, & zoom, video multiplexing, and full/quad screen functions. Other custom engineered solutions are available on request to meet your specific needs.